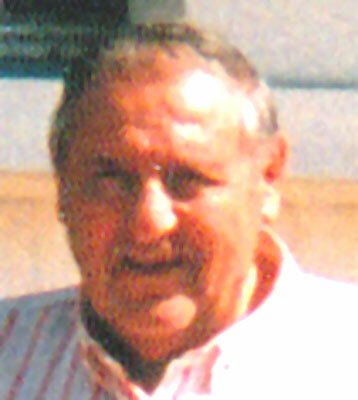 JOSEPH MILETO JR YOUNGSTOWN – There will be a funeral service at noon on Monday, March 18, 2013, at the Rossi Brothers & Lellio Funeral Home in Boardman for Joseph Mileto Jr., 88, who passed away Thursday evening, March 14. Joseph was born Nov. 30, 1924, in Reggio Calabria, Italy, the son of Joseph M. and Josephine Mileto. He worked for Youngstown Sheet and Tube and courageously served his country as a Private First Class in the U.S. Army during World War II. Joseph enjoyed gardening and loved watching sports, westerns, Jeopardy and Wheel of Fortune. His wife, the former Louise Melone, whom he married Sept. 25, 1948, passed away March 25, 1991. Joseph will always be remembered his three sons, Joseph (Debbie) Mileto of Boardman, Vince Mileto of Boardman and Frank Mileto of Las Vegas; son-in-law, James Cleary; ten grandchildren; 10 great-grandchildren, and one on the way; several nieces and nephews; two brothers, Anthony (Monica) Mileto of Coitsville and Patsy Mileto of Las Vegas; and sister, Nina (Nick) Yanucci of Vienna. Besides his parents and wife, Joseph was preceded in death by son, Rocky Mileto; daughter, Mary Jo Cleary; two brothers, Richard and Augustine Mileto; and a sister, Rachel. Friends may call on Monday, March 18, 2013, from 10 a.m. until the time of service at the Rossi Brothers & Lellio Funeral Home, 4442 South Ave. in Boardman. Family and friends may visit the Book of Memories at www.rossifunerals.com to view this tribute and send condolences to Joseph’s family.